is a recurring enemy from the Final Fantasy series as well as appearing as a summon. 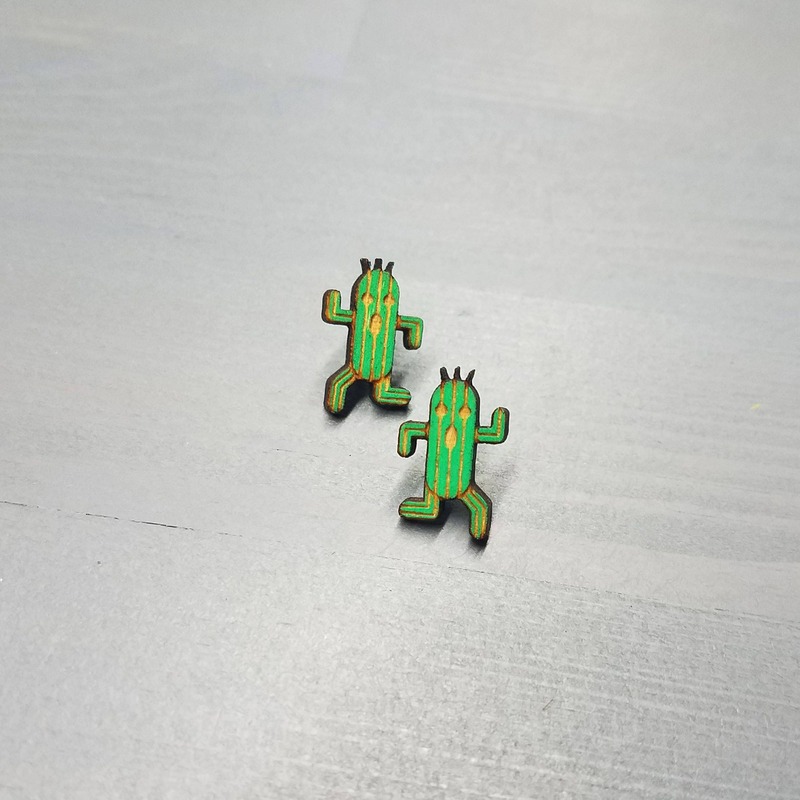 Cactuars are little cacti, typically depicted having stiff arms and legs, three black holes for their faces, representing two eyes and an oblong mouth, and three reddish quills at the top of their heads. They have their own language, mostly consisting of variations of the word "Ge-ka", which resemble squeaks and warbles to the ear. 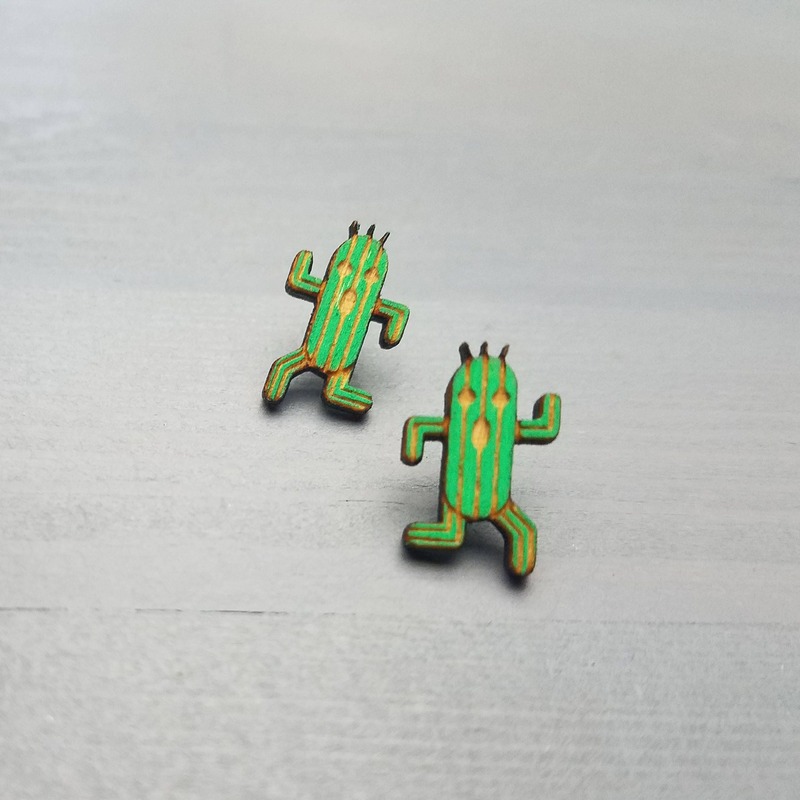 Cactuar earrings, designed and laser cut from wood and painted by me. 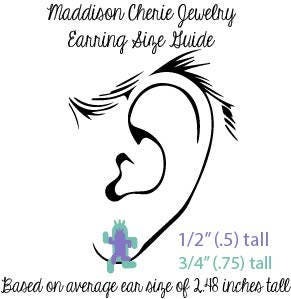 These earrings come shipped in a little gift box with lots of bubble wrap and care so as not to get damaged as it makes it's way to you. These are the coolest and look amazing!!! So fast as well, thank you!! Really cute! Solidly built and seems to be safe for my sensitive skin!